The Atmakaraka and the “Soul” Planet in Relationships 15 Hour Audio/Video Course – With instructional videos, mp3s and written material on Each Planetary Atmakaraka type. What you are most likely seeing in their personality/appearance/speech is the Atmakaraka (AK), the Self-Producer or the “essence/soul” planet. When you know what to look for in the chart, you will likely never be stumped like that again. In fact, you will become very good at spotting a person’s essence planet, really boosting your confidence as an astrologer and making astrology even more fun. The AK is such a pivotal point in the birth chart you’ll wonder how you ever did astrology without it. Once you know how to use the AK properly to see what the native’s life will concretely consist of, you will be able to know what a person’s AK is just by their personality, speech, appearance, and what they do for a living before you even look at their birth chart. The sign of the AK in the Rasi chart and the sign of the AK in the Navamsa are important in describing a person’s basic “essence,” which can be quite different than the ascendant, Sun, or Moon sign. The AK is the most personal of the planets in the birth chart. This is crucial in relationship astrology and in helping your clients to understand their partners. 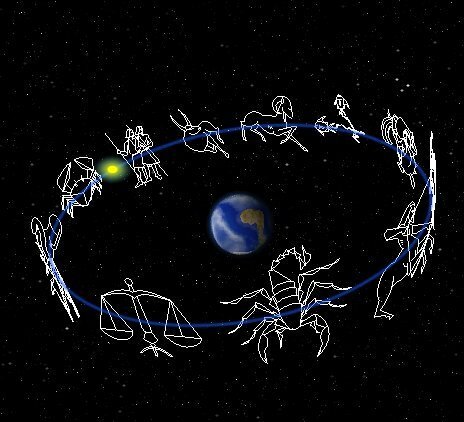 When you know what the AK is and how to use it in the birth chart, you can then apply the same knowledge to the Daarakaraka (DK-the planet representing the spouse), and all the other planets in the chart (every planet in your birth chart represents someone in your life). Knowing your AK and the AK of your significant other, you’ll understand what motivates both of you at the deepest level. You’ll understand that the things that bug you about your partner are not things he or she is doing “to” you, but are just an innate part of them. You’ll come to not only accept your partner as they are, but actually enjoy the differences and the funny things that happen as the result. He drives like an “old man” (Saturn) and I drive, well, quickly, and am very adaptable to the current traffic conditions(adaptability is a Moon quality). He, on the other hand, will stay in one lane for miles, even if it takes a significantly longer amount of time to reach our destination (Saturn is the slowest transiting planet). You see the problem, right? If I don’t drive, I’ll go completely crazy and start backseat driving. I’ve tried and tried, but I can’t keep my mouth shut. I can’t read in the car without getting carsick either, so the best solution is for me to drive. Besides, we’ll actually arrive at our destination in the same year that way! The Daarakaraka or DK, is the “spouse” planet and describes what qualities we look for in a partner, our “type.” And your partner’s DK shows what they look for in a partner. Therefore, our DK will usually be prominent in the other person’s chart in some way, and the kind of person we look for tends to remain fairly consistent over time and from relationship to relationship. It’s probably one of the reasons we repeat patterns with our partners. One of the bonus videos is an examination of Tom Cruise’s DK and his three marriages. It’s fascinating to see how all of his wives have the characteristics of his DK clearly indicated in their natal charts. Your Teachers in This Course Are Karen White and Ryan Kurczak. Total length of all recordings are over 15 Hours. This is a large file (over 1.38 gigabytes). Be sure your internet speed can handle the download before purchasing. The files are in .mp3, .pdf and .mp4 format. Be sure you can open these files on your computer before ordering this course. They are also delivered as one large zip file. You will need a program that allows you to unzip this file. **Due to the digital nature of this course, it is a non-refundable. Karen and Ryan have done podcasts, videos, and taught a teleseminar together in the past. Below, watch a video they did together, to see if you resonate with their style before you commit to taking this course. This course is already available? I can’t find the button to buy it. It is up and available now!